“It was not exactly as I remembered it, but it wasn’t all that different either,” says old King Graham, early in the new King’s Quest. It’s something like the fifth line in the game, and you can almost see the writer sitting behind the screen, speaking directly to you. And our fictional writer isn’t wrong. 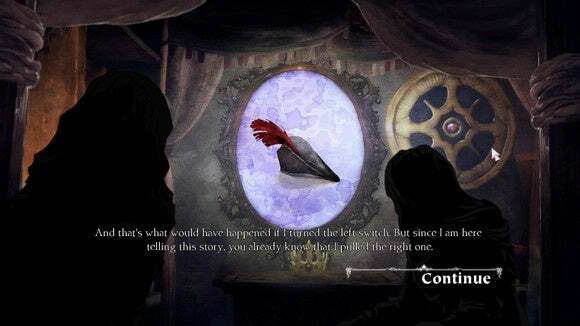 Moreover, King’s Quest (or at least this first episode of a planned five episode saga, titled A Knight to Remember) is a strong adventure game in its own right, regardless of whether you played the originals. As ever, King’s Quest is the tale of King Graham of Daventry—or rather, it’s the tale of Graham the young adventurer who eventually became king. This latest King’s Quest is set up as a frame story, a la Big Fish. King Graham is now grown old and feeble—he sits in bed all day telling stories to his rambunctious young granddaughter Gwendolyn, who inherited her grandfather’s knack for daydreaming about fantastical exploits. And some of those stories should sound pretty familiar. 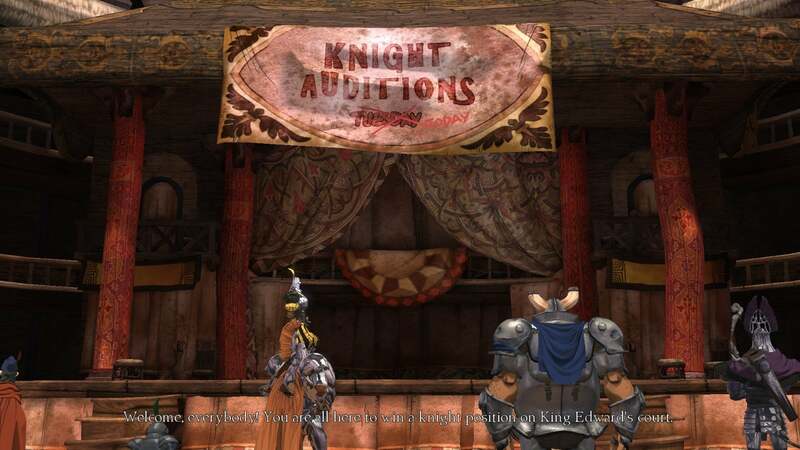 A Knight to Remember is both sequel and prequel, both new game and nostalgia trip. The game kicks off by recapping part of the plot of the original King’s Quest, as Graham recovers the magic mirror and saves Daventry. Here we see Graham at his most spectacular. We see Graham the legend—the bravest knight of the realm, the hero who always saves not just the day but the entire kingdom. The bulk of A Knight to Remember is set even earlier, though. Graham isn’t the bravest knight in the realm. He isn’t even a knight. He’s a clumsy, awkward, gangly young’un who earnestly wants to become a knight even though he is seemingly in no way cut out to be one. I love unreliable narrators in video games because they codify/legitimize what everyone already does when playing, which is “Do exactly what the game tells you not to do.” When the game tells you not to blow the horn again, you blow it. When the game tells you to go right, you head left. When it tells you not to use the hatchet on everything, you…well, use the hatchet on literally every object you come across. And in King’s Quest, doing so is invariably rewarded by Christopher Lloyd (as old King Graham) rasping out some new, hilarious line. Go on—blow the broken horn a half-dozen times. See what happens. This approach—focusing on humor, on story, on adventure game tropes—is perfect for a game like King’s Quest because it’s (of necessity) not the series it once was. King’s Quest in 2015 cannot be King’s Quest in 1983. Or even 1998. It can’t be a frustrating, puzzle-focused, logic-bending point-and-click that’s seemingly obsessed with killing off the player at every turn. I mean, it could, but it wouldn’t be received well. So what we get is a game that still kills the player regularly, but then makes a joke about it and puts you back at a checkpoint. It’s a game with puzzles, but one where there are multiple solutions to most problems and the game (I assume) will never end up in an unwinnable state. 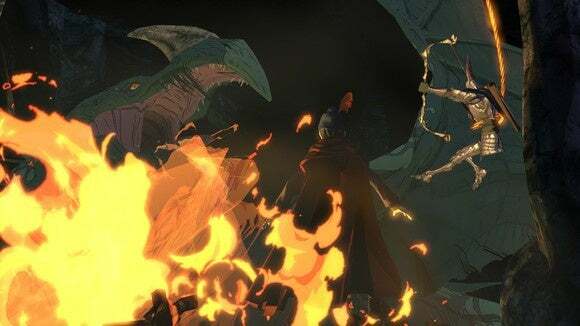 It’s a game with the flavor and humor of a King’s Quest mixed with something a bit more friendly—more like a Daedalic or Nordic game than the Sierra of old. Many of those choices then carry forward into the modern day, which is a significant portion of this new King’s Quest. You’re not just telling Gwendolyn a story—you’re teaching her. You’re her mentor and her idol as much as her grandfather, and when it comes time for Gwendolyn to forge a path and make her own stories, you just hope you’ve taught her the right lessons. It’s definitely Telltale-influenced, though you’ll spend more time actually doing things in King’s Quest (solving puzzles, exploring, et cetera) instead of spending time in dialogue trees. Not that Telltale’s way of doing things is bad—I love those games too. 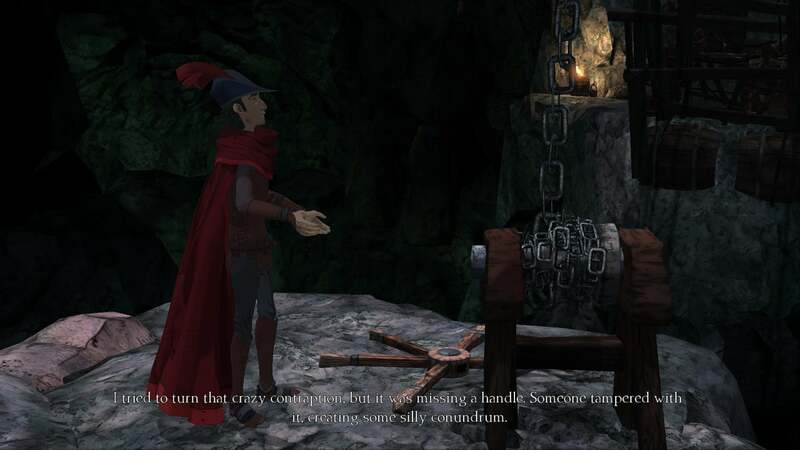 King’s Quest just takes a more active approach, with actions/reactions instead of you-spoke/they-remembered. And I’m already itching to replay A Knight to Remember to see how much it changes when I make different choices. The voice acting deserves a special call-out here at the end. There have been plenty of games in the past that boasted stacked casts, from Dishonored to Broken Age. 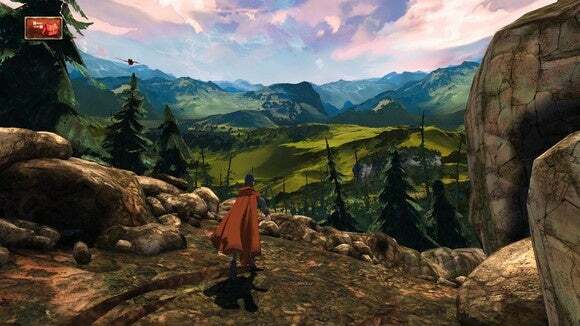 But damn, King’s Quest is incredible. Christopher Lloyd is the obvious centerpiece, but everyone in A Knight to Remember is spot-on. 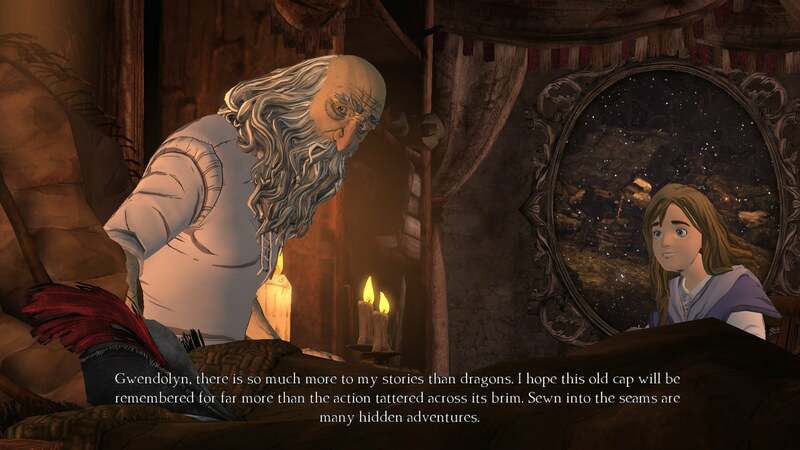 I largely think of celebrity voice acting lineups as a gimmick, and King’s Quest doesn’t entirely dispel that—there’s no reason old King Graham needed to be Christopher Lloyd instead of some other raspy old man, for instance. But excellent voice acting deserves a call-out regardless of source, and King’s Quest is excellent. It’s beautiful, it’s funny, it’s touching. I’m loving King’s Quest, as far as this first episode is concerned. I hope it can nail the same quality for all five parts—and that the episodic release schedule doesn’t drag too much. It’s worth noting that A Knight to Remember is as long or longer than the largest Telltale episodes, especially if you’re (like me) prone to hunting down every last silly line of dialogue. I have a few quibbles—the mouse/keyboard controls are a bit awkward (Xbox controller recommended), some of the text is misaligned, cutscenes are unskippable and some checkpoints are placed at the worst possible moment prior to a lengthy cinematic—but in general this is a grand start to what I hope is a grand adventure. Long live the King. NOTE: We don’t put scores on episodic games, and since this game is only 1/5 complete it could turn to absolute garbage before the end! We’ll revisit King’s Quest after all five parts are released to see how the entire experience stacked up and tack on a score.